Nike has released an important update for its Fuelband iOS app, finally freeing it from the shackles of Nike's actual Fuelband wearable. The app can now use an iPhone's own motion sensors, meaning users with an iPhone 5S and up no longer need to wear a Fuelband on their wrists for Fuelband to track them. How will the Apple Watch change fitness? The app now also shares its NikeFuel points with Apple's iOS 8 Health app and other Nike fitness apps, so you can track your progress across multiple platforms more easily. 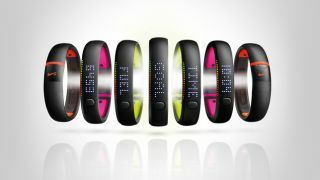 Nike Fuelband has always been tied closely to its companion app, and now it is that app - the only reason to still wear the actual band being if you don't feel like carrying your phone with you when you're being active. The best part? Although the Nike Fuelband typically costs as much as $100 (£90, about AU$130), the Fuelband app by itself is free.